Vodafone India has been expanding its 4G services reach in the country, and today, the telco stated that it rolled out 6880 broadband sites, converting to 16 sites per day since January 2017 in UP East circle. Vodafone is one of the largest telecom service providers in the UP East circle with over 22.7 million customers on board. The second largest telecom operator in India is currently offering 4G SuperNet services in more than 25,000 towns and villages across UP East. And to continue adding new subscribers, Vodafone has introduced attractive prepaid, postpaid and handset bundled plans recently. 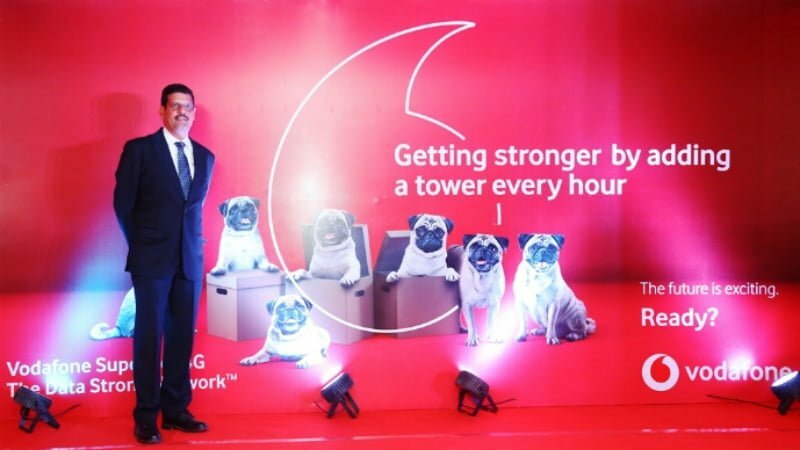 Furthermore, Vodafone states that it has over 200,000 retail touch points across the circle, and any Aircel customer looking to join the network can head over to any of the touch points to port in. Some of the prepaid plans in UP East circle include the Super Hour Rs 16 plan, Super Hour Rs 18 plan, Super Week Rs 69 plan, and long-validity plans of Rs 458, Rs 509. The Super Hour Rs 16 plan gives unlimited local and STD calls for one hour without any limit, followed by the Rs 18 Super Hour plan that gives unlimited 4G data for one hour. Vodafone is also expected to launch VoLTE services in the circle. The long-validity plans of Rs 458 and Rs 509 offers unlimited voice calls, 1.4GB data per day and 100 SMS per day for 84 days and 91 days respectively. Alongside these prepaid plans, Vodafone also has the RED range of postpaid plans offering unlimited voice calls, 100 SMS and 20GB data at Rs 399. Vodafone is also providing free Netflix subscription for users opting the premium RED plans. The Vodafone RED postpaid plans start at Rs 399 and goes all the way up to Rs 2,999. And the telco has also partnered with multiple handset brands such as Micromax, Samsung and Vivo. Vodafone is currently running a cashback offer on Samsung 4G smartphone, which allows users to avail a cashback of Rs 2,200. Vodafone also says that the Vodafone Play premium subscription will be free to all the Vodafone users in the circle until June 2018. Don’t know about UP (East) but in UP (West) !dea is a Clear Leader in terms of Coverage & Subscribers especially in Hills where there isn’t any 4G/3G Network. Only !dea & BSNL have Good 2G Coverage in Hilly Areas. Airtel is still number 1 in UP East in terms of subscribers and overall coverage. Although after merger VoDea will lead easily.